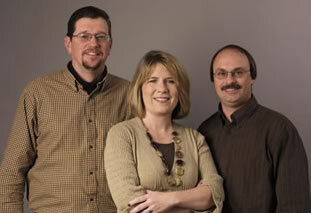 John, Leigh, and Tracy are pleased to help you in your home remodel or custom build. 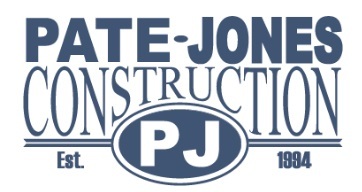 Tracy Pate and John Jones are the owners of Pate Jones Construction, Inc., Columbia’s finest custom home builders. It’s the familiar story of a childhood friendship driven from a small farming community in northeast Missouri from which Pate-Jones Construction was established. From an early age, John and Tracy learned the value of a strong work ethic. Being familiar with working long hours and doing “what it takes” to finish the job, John and Tracy are determined to get the job done right. Since their partnership in 1994, Pate-Jones Construction is proud to provide quality and affordable homes to the people of Central Missouri. We are custom home builders and remodelers in Columbia, Missouri and the surrounding area. We listen to you; we customize your home to meet your needs and desires. We will provide you with a guaranteed bid price with allowances per your specifications before we sign a contract. We have a dedicated, local construction team that has been with us for many years (some since our beginning in 1994). Once specifications are determined, we will provide you with a complete layout of the items that will be used in your home from the roof pitch to the type of concrete used. If you make an upgrade, we don’t charge an additional markup for the “extras.” The price we pay is the price you pay. We can help you with your small or large home projects. Each is important to us and will be treated with hands-on care. We walk you through the building process step-by-step. We use our experience and hard work ethic to make the building process easy and enjoyable for you.